The township or civil parish of Kearsley (or Kersley) was in the ancient parish of Deane and was also part of the Bolton Poor Law Union. A Local Board of Health for the township of Kearsley was set up on 30 October 1865 at a meeting held in the Black Horse Inn. Kearsley Urban District Council was created in 1894. The Urban District was extended in 1933 to include parts of Clifton (parish of Eccles) and the Ringley district of Outwood (parish of Prestwich). 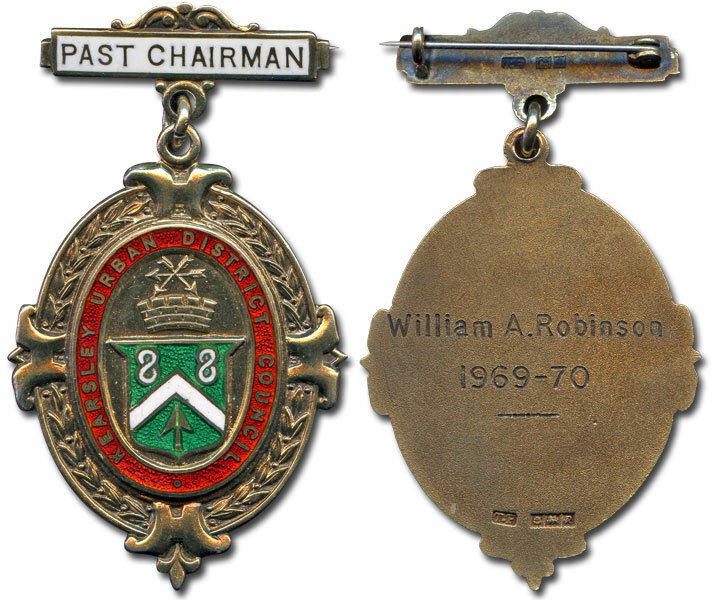 The Chairman's Chain of Office was presented to the Council by the Town Clerk, Mr H Martin on his retirement in 1938 and was first worn by Richard Matthews. Badge presented to Past Chairman of Kearsley District Council. 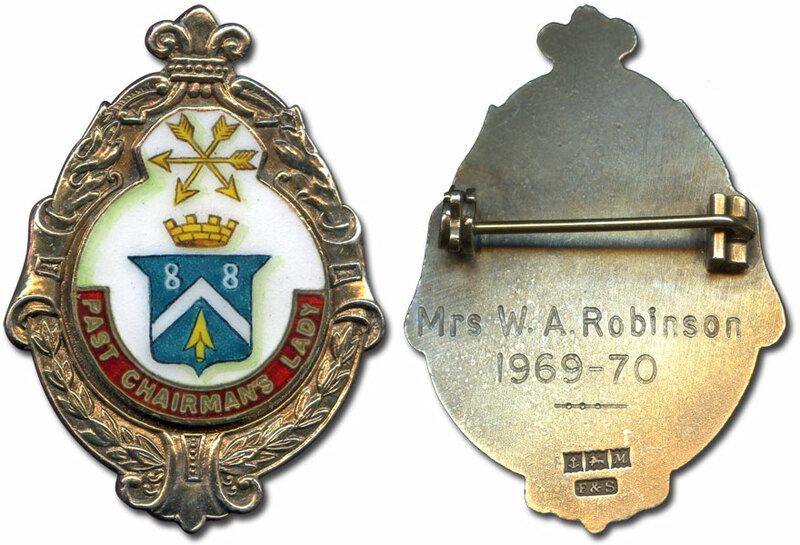 Brooch presented to Past Chairman's Lady of Kearsley Urban District Council. The whole of Kearsley Urban District Council became part of Bolton Metropolitan Borough in 1974.